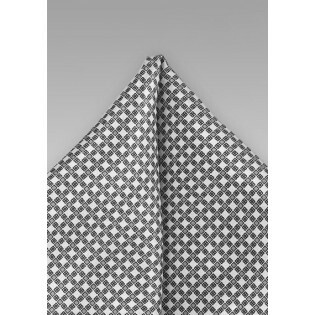 A pocket square that is both formal and casual-fun. While the festive silver and gray colors add sophistication and elegance, it is the vintage graphic print that will infuse exciting character to your ensemble. 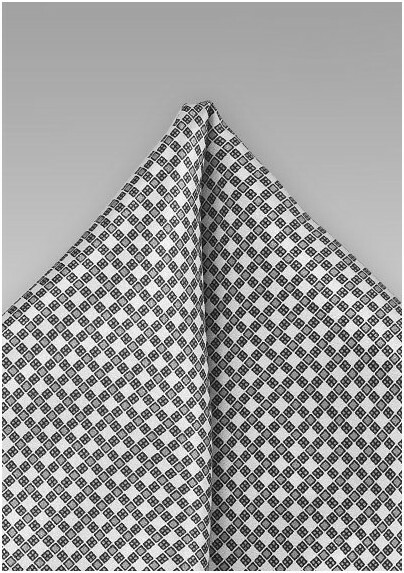 Pair this piece with charcoal or black jacket, white shirt, and a textured silver skinny tie for best results. 100% silk, handmade by Cantucci.